Melissa Peterson is a licensed marriage and family therapist with extensive experience in the treatment of Anorexia Nervosa, Bulimia Nervosa, Binge Eating Disorder, and compulsive over-exercise. 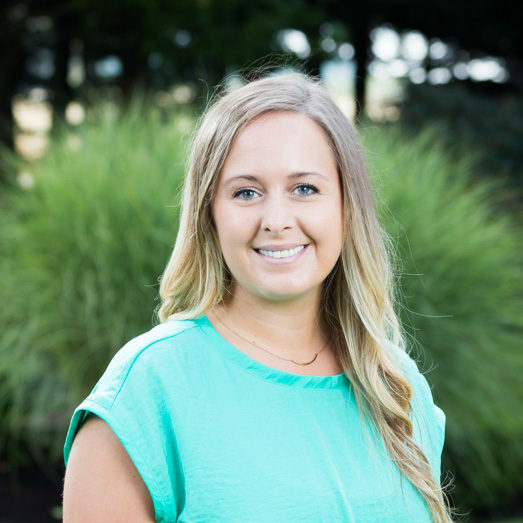 Melissa obtained her Master’s Degree in Couples and Family Therapy at the University of Oregon, and has been working with Monte Nido & Affiliates since 2012. Throughout this time, Melissa has worked in several clinical settings including outpatient, intensive outpatient, partial-hospitalization and residential eating disorder treatment. Throughout her time with Monte Nido, she has taken on many different roles beginning with Recovery Coach and then Therapist Intern at RainRock Treatment Center. Melissa then moved back to Portland, where she was a Primary Therapist turned Lead Therapist at the Eating Disorder Center of Portland. Once there was news of Clementine opening in West Linn, Melissa took the role of Family Therapist and was privileged to assist in opening the facility. As Clementine has grown over the years, Melissa took on the role of Assistant Clinical Director and is now overseeing the program as Clinical Director. Melissa sees Monte Nido as a second home, where she has not only grown professionally but also personally. She is dedicated to helping clients experience the true heart and soul of Monte Nido by learning to develop meaningful relationships to promote healing.